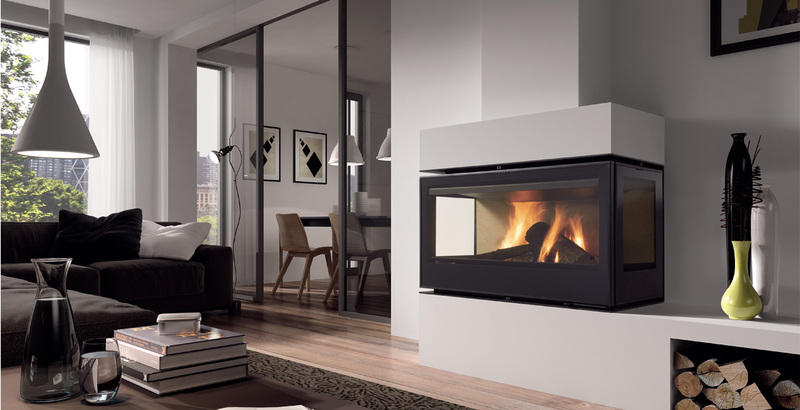 Rocal is a Spanish brand, which has been producing top quality closed combustion fireplaces for over 30 years. 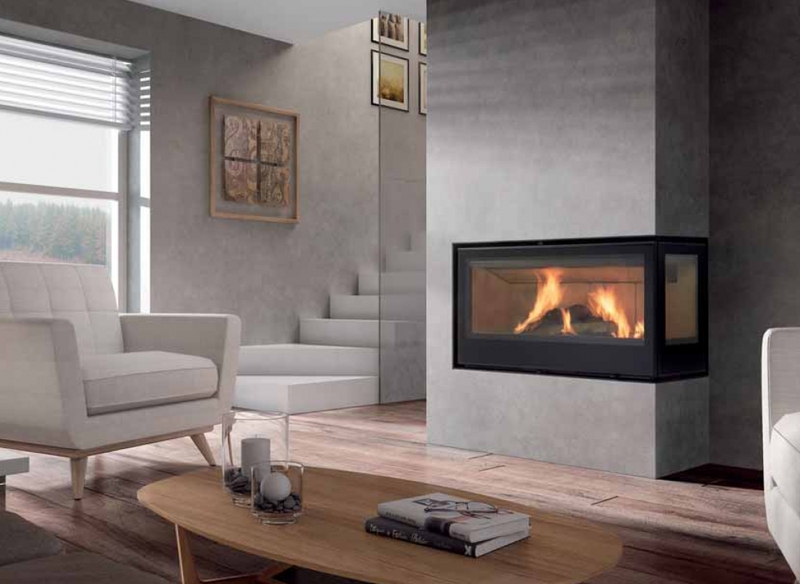 The Rocal Graffiti LD&TC fireplace insert has a number of innovative features which are shared across the contemporary looking Graffiti range. 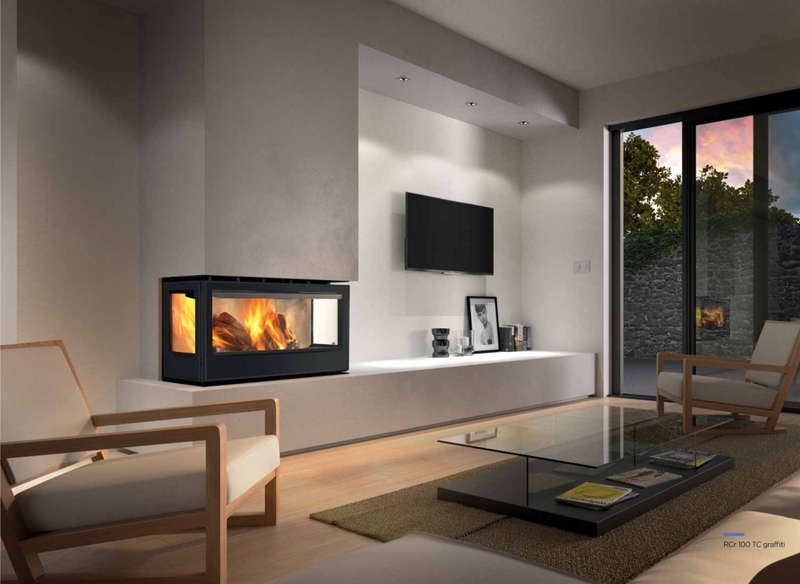 Its full length glass door gives this wood fireplace its striking appeal. 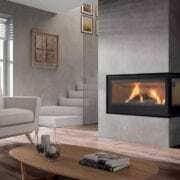 Also see the Rocal Classic closed combustion fireplace insert for a more traditional appearance. 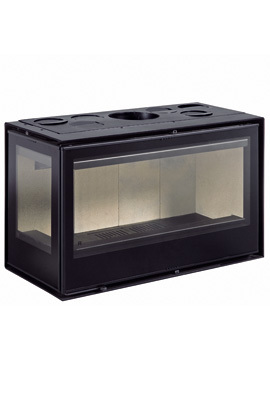 It also has a reversible front door, stainless steel combustion chamber, vermiculite lining, wrap around casing, optional hot air conduction, air control from the front or top, as well as a large ashpan for cleaning when needed. 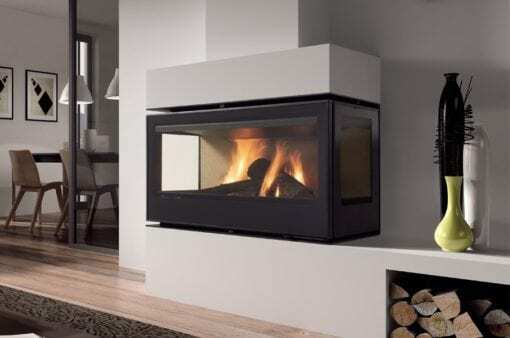 Rated between 12Kw and 18Kw it has a huge output for your larger open plan areas. 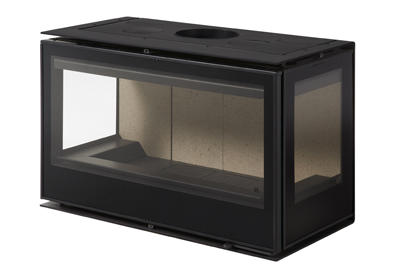 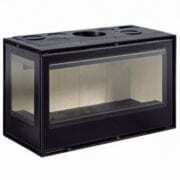 The LD and TC Graffiti closed combustion insert fireplace is available in a two sided (LD) or three sided (TC) option. 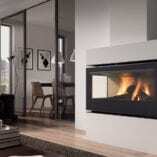 In the two sided option you can choose on which side (left or right) you want the second open side. 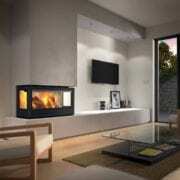 Also see the Rocal Graffiti Single sided closed combustion insert fireplace which is available in four sizes. 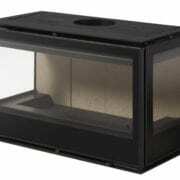 Please view the PDF’s below for more information.